Susa Pop, managing director of Public Art Lab has initiated the Media Facades Festival Europe 2010 together with the urbanist Mirjam Struppek. Susa Pop is artistic director and responsible for the curatorial programme and the implementation of the Joint Broadcasting Events in Berlin. 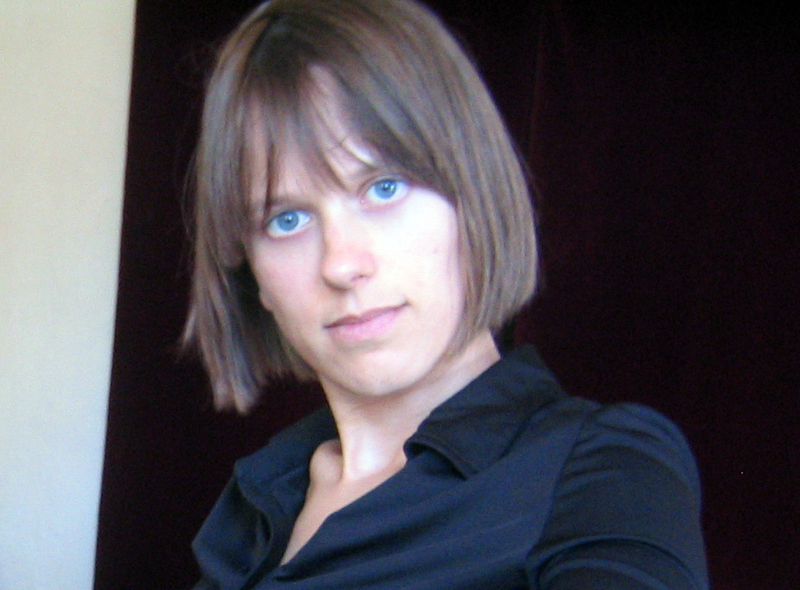 Mirjam Struppek is festival director of research and curator of the video screening program and skype talk conference. Intended as an action research platform, Public Art Lab devises and implements exhibition and communication formats to take place at the juncture between the creative disciplines, public authorities, the business community and universities. The interventions aim to translate social processes into the public realm with the support of new technologies. Public Art Lab has developed ’action research’ as its preferred methodological tool. The production process evolves through a series of communication formats such as kick off meetings, workshops, live presentations, round tables, test screenings and panel discussions which, right from the beginning, involve all the participating partners in a joint interdisciplinary and collaborative effort of planning, intervention and evaluation. Public Art Lab is dedicated to researching and visually communicating diverse locations and their typical social structures at the overlapping layers of the public urban and the digital realm. 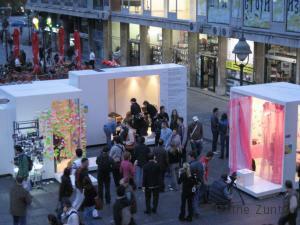 The Media Facades Festivals (2008/2010) and the Mobile Studios (2006) are good instances of this approach. The Media Facades Festivals have encouraged artists and media designers to involve local residents in artistic processes, the results of which are shown on urban screens that are digitally interlinked. The Mobile Studios went on an itinerary through Eastern Europe as nomadic, multi-media research and production laboratory, and observed, analysed and generated various social phenomena. Mobile Studios, in conjunction with co-curating local partner institutions, became the forum for a vibrant scene to express itself in new exhibition formats, and interact with the general public and urban space. Public Art Lab was founded in 2002 by cultural manager and industrial designer Susa Pop and artist Hans J. Wiegner as a network of experts such as curator and multimedia producer Ela Kagel, curator and urbanist Mirjam Struppek, and David Farine for IT & Network, among others. Susa Pop is a designer, curator and cultural manager operating throughout Europe. She conceives and implements cross-national creative projects and communication formats at the interface of public urban space and the digital worlds. These have included Mobile Museums and Mobile Studios. With Mirjam Struppek, Susa Pop conceived Media Facades Festival Berlin 2008 which was implemented in conjunction with the German Centre for Architecture (DAZ) in Berlin and the Media Architecture Group in Vienna. For 2010 she has initiated the Media Facades Festival Europe to explore the networked possibilities of urban screens and media facades. Susa Pop operates at the juncture between the new media, art in the public realm, the creative industries, and intercultural dialogue. She also lectures widely on these subjects at universities and conferences. Susa Pop is a member of the European cultural management network Oracle, core member of Urban Media Salon und co-initiator of Upgrade! Berlin, which presents recent developments in the arts and technology. Mirjam Struppek is based in Berlin and works internationally as urbanist, researcher and curator. She owns a degree with distinction in Urban- and Environmental Planning but has always been searching for interdisciplinary challenges. She has internationally lectured and published essays with a special focus on the livability of urban space, public sphere and its transformation and acquisition through new media. In this context she organized from 2005 to 2007 the monthly discussion dinner "Urban Media Salon". In 2005 she developed the concept of "Urban Screens" and curated the first international Urban Screens conference in Amsterdam, "discovering the potential of outdoor screens for urban society". Mirjam has been instrumental in building the Urban Screens community, forming around the International Urban Screens Association (IUSA) and a series of further Urban Screens events traveling around the world. Together with Susa Pop from Public Art Lab she initiated the Media Facades Festival Berlin 2008 and Media Facades Festival Europe 2010.